Designed by LJB AS it is an addition to an existing project designed by the same office along the National Tourist route Aurlandsfjellet from Aurland to Lærdal in the western part of Norway. 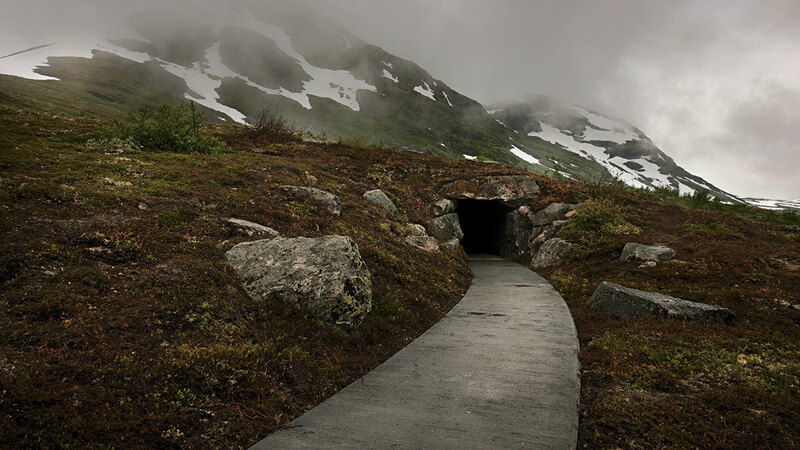 The route climbs 1.000 meters above sea level and it is open only from June to September due to the extreme weather conditions of the winter months. 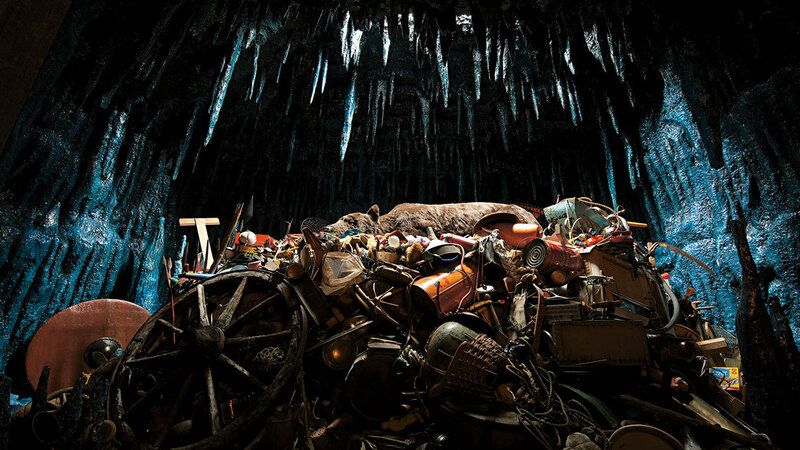 The den was added to an existing concrete path, Vedahaugane, to host an installation from the American artist Mark Dion, an artificial bear that lies on a pile of objects collected from many places around the world. 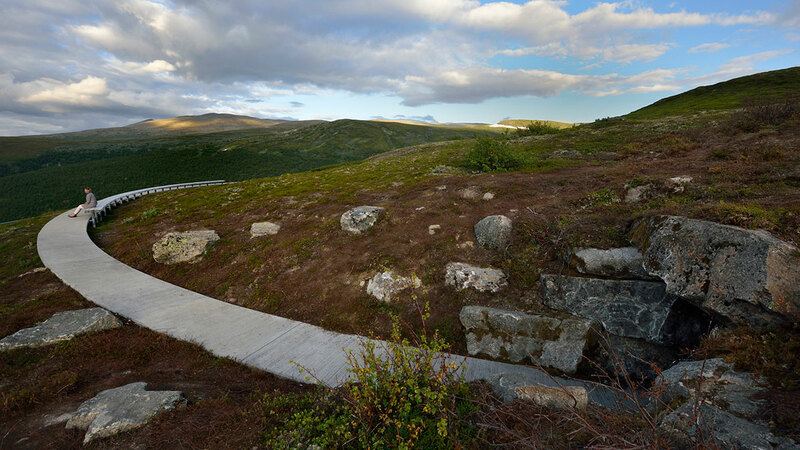 The floating concrete path leads away from the road and into the landscape following the curves of the terrain. 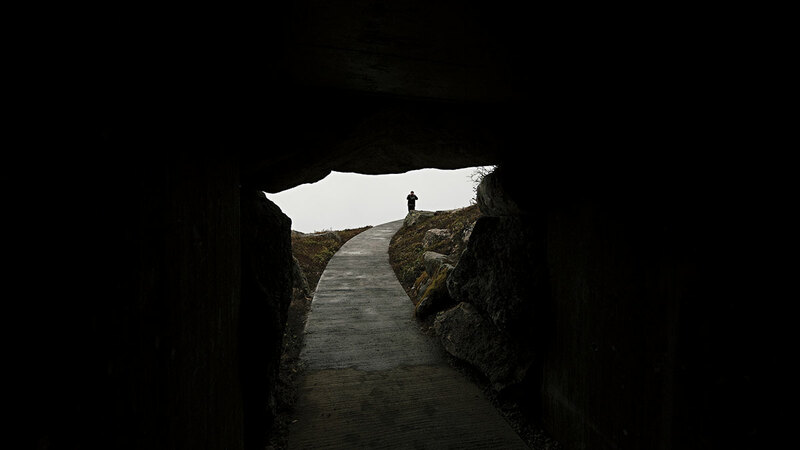 The last part of the path curves back into the mountain through big stones and ends into an artificial cave. The art installation is illuminated only by natural light filtering from a corten steel cap also used to guarantee natural ventilation to the hypogeum space.